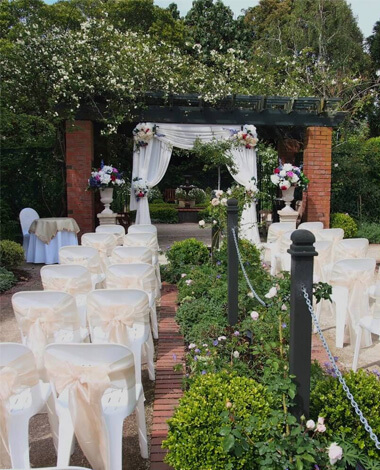 For the Romantic Parnell Wedding Ceremony Package to be set among beautiful gardens, see our team of experts then all you need worry about is the weather. The Covers Team will ensure everything looks perfect so when you walk down the aisle, into the garden or simply arrive you will be amazed. We plan to make everything so easy, you are free to enjoy your very special day. The Parnell wedding package is available to hire without the set up and pack down services. 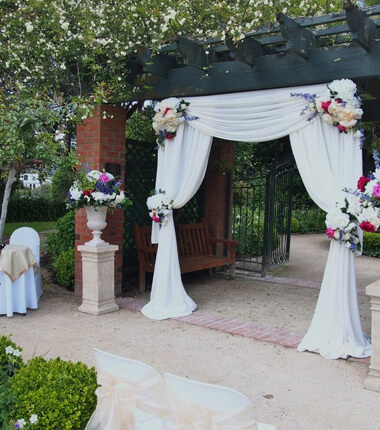 If you are having an outdoor ceremony we highly recommend you use our packdown service so you and your guests can enjoy the occasion without the worry of putting everything away.